Free Wi-Fi at public places is a growing trend and as a consumer of free Wi-Fi I know all too well that it’s an added bonus when a restaurant, coffee shop or airport offers it up. But of course, there are risks to consider. Say you’re at lunch,when you join a free mobile hotspot while you’re enjoying that delicious burger you’ve been dreaming of all morning, chances are it’s an unsecured network. What does that mean? Well, you can tell if a network is unsecure if using it requires no login credentials, aka no password. There are two types of unsecure networks you should know about. The first one is an ad-hoc network and the second is a traditional access point network. An ad-hoc network is made up of devices that connect to each other- your phone and laptop for example ad-hoc networks don’t each connect to a router like a traditional network. When you connect to an ad-hoc network you’re actually connecting to the device that created the hotspot. This is where the light bulb should go off. You should be thinking wait a minute…I’m connecting to a person’s device that means they can access everything I’m doing on my device. In order to keep your personal information safe while using a public hotspot, it’s important to follow a few simple guidelines. Avoid doing things like online banking or shopping, where your account numbers, credit cards or log-in information could be at stake! Make sure you turn on your antivirus software and firewall. If you’re at a small business (restaurant, coffee shop, etc. ), check with the staff to confirm their Wi-Fi network name –there are often many networks to choose from and you can never be too sure. When browsing information sensitive sights, do your best to visit websites that start with “Https”. Don’t share files – you don’t want them to be intercepted while being sent. Use a VPN if possible (also known as a virtual private network). Enable two-factor authentication for your accounts, which means you’ll have a code sent to you via email or text if you’re logging in from an unrecognized IP address (you can do this for your email and social accounts). Following the above tips should keep you pretty safe while you’re using free Wi-Fi, but if you are a regular traveller and often find yourself at coffee shops surfing the internet, we recommend a Wi-Fi AC750 Portable Router. 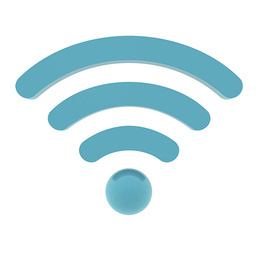 Not only will you be able to transform a public Wi-Fi connecting into your own personal Wi-Fi hotspot , you’ll be able to use it as a full router, including the added bonus of setting up WPA encryption just as you would any other router. Wondering why you would want a full router while you’re getting work done at your local coffee shop? Two words: firewall features. With those features you don’t have to worry as much about your information being compromised while browsing the web so you can surf freely. As an added bonus, the Wi-Fi AC750 Portable Router features 11AC technology for fast/dual-band Wi-Fi. Frequent travelers, I know you’re in love. I’ve imparted all the wisdom with you that I have. You’re now equipped to connect in public. Until next time, stay secure!